Automatic environment setup on your server using any Github repo. 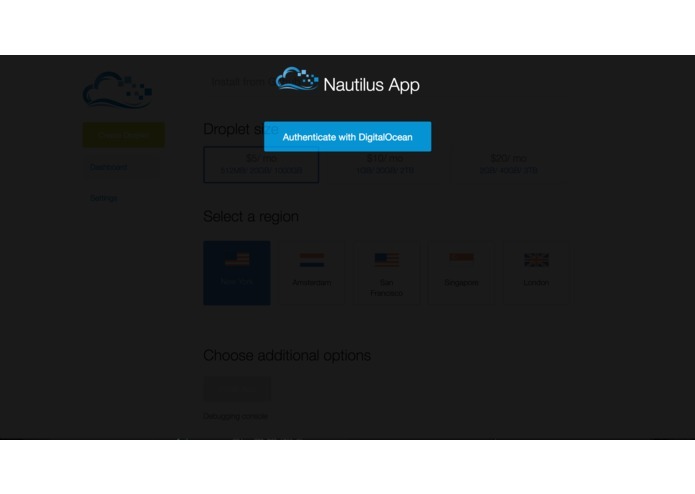 Nautilus gives the user a one-click environment setup for almost any framework on Github. Just search for it, select it, and click "Install App". Your server will come with the environment and dependencies preinstalled.